Bear Market on NSE: Witnessing a bear market for stocks doesn’t have to be about suffering and loss, even though some cash losses may be unavoidable. Instead, investors should always try to see what is presented to them as an opportunity – a chance to learn about how markets respond to the events surrounding a bear market or any other extended period of dull returns. Read on to learn about how to weather a downturn. The boilerplate definition says that any time broad stock market indices fall more than 20% from a previous high, a bear market is in effect. Most economists will tell you that bear markets simply need to occur from time to time to “keep everyone honest.” In other words, they are a natural way to regulate the occasional imbalances that sprout up between corporate earnings, consumer demand and combined legislative and regulatory changes in the marketplace. Cyclical stock-return patterns are just as evident in our past as the cyclical patterns of economic growth and unemployment that have been around for hundreds of years. 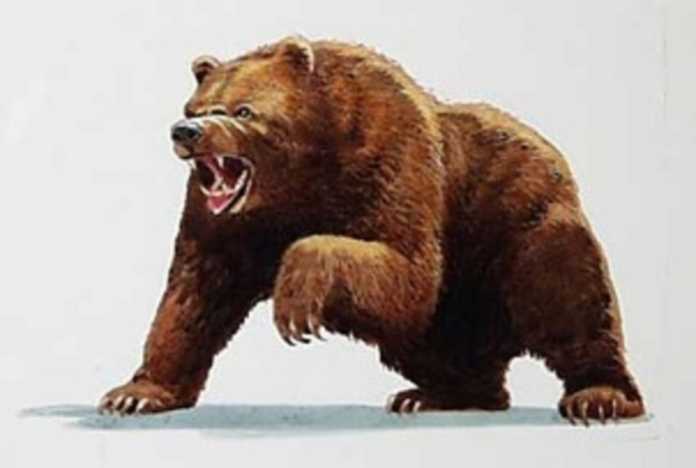 Bear markets can take a big bite out of long-term stockholders’ returns. If investors could, by some miracle, avoid the downturns altogether while participating in all the upswings (bull markets), their returns would be spectacular – even better than Warren Buffett or Peter Lynch. While that kind of perfection is simply beyond reach, savvy investors can see far enough around the corner to adjust their portfolios and spare themselves some losses. These adjustments are a combination of asset allocation changes (moving out of stocks and into fixed-income products) and switches within a stock portfolio itself. Growth Stocks: If it appears that a bear market could be around the corner, get your portfolio in order by identifying the relative risks of each holding, whether it’s a single security, a mutual fund or even hard assets like real estate and gold. In bear markets, the stocks most susceptible to falling are those that are richly valued based on current or future profits. This often translates into growth stocks (stocks with price-earnings ratios and earnings growth higher than market averages) falling in price. Value stocks: These stocks may outperform the broad market indices because of their lower P/E ratios and perceived earnings stability. Value stocks also often come with dividends, and this income becomes more precious in a downturn when equity growth disappears. Although value stocks tend to get ignored during bull market runs, there is often an influx of investor capital and general interest in these stodgy companies when markets turn sour. Lesser-Known Stocks: Many young investors tend to focus on companies that have outsized earnings growth (and associated high valuations), operate in high-profile industries or sell products with which they are personally familiar. There is absolutely nothing wrong with this strategy, but when markets begin to fall broadly, it is an excellent time to explore some lesser-known industries, companies and products. They may be stodgy, but the very traits that make them boring during the good times turn them into gems when the rain comes. Defensive Stocks: In working to identify the potential risks in your portfolio, focus on company earnings as a barometer of risk. Companies that have been growing earnings at a fast clip probably have high P/Es to go with it. Also, companies that compete for consumers’ discretionary income may have a harder time meeting earnings targets if the economy is turning south. Some industries that commonly fit the bill here include entertainment, travel, retailers and media companies. You may decide to sell or trim some positions that have performed especially well compared to the market or its competitors in the industry. This would be a good time to do so; even though the company’s prospects may remain intact, markets tend to drop regardless of merit. Even that “favorite stock” of yours deserves a strong look from the devil’s advocate point of view. Options: Another way to help cushion your portfolio losses is to use options contracts. If you feel that a bear market is around the corner, then selling calls or buying puts may be a wise course of action if you are familiar with how options work. If you feel that the bear market is nearing an end and economic indicators are signaling a possible rise in the near future, then it may be time to buy calls or sell puts. A correctly called purchase of puts or calls at the right time can substantially cushion the blow of a bear market, as can the additional income generated from selling them. Selling Short: Shorting stock can be another good way to profit in a bear market. This practice consists of borrowing stock that you don’t own now, selling it while the price is high and then buying it back after the price declines. You can also do this with stock that you already own, which is known as shorting “against the box.” Of course, as with option trading, there are risks involved; if the stock price continues to rise after you have sold short, you will lose money. But this can be another effective method of generating income in a down market if your timing is right. Previous articleLayers vs Broilers: Which is more profitable?